I am leading a 13 day photo workshop January 15-27, 2012 to my favorite place on Earth. The hidden jewel and land of enchantment of Southeast Asia is Myanmar, or what many of the locals still refer to as Burma. Bordered by Thailand, India, Bangladesh, China, & Laos, this country is my favorite place on earth for photography. From the awe inspiring monasteries & temples to the simplicity of the soft spoken people, Burma stands out from the rest of Southeast Asia. It might be the least visited & explored country in that part of the world & that is what makes it so special. The hospitality of the locals make you feel like you are the first foreigners they have ever seen. It is truly a feast for the eyes in every direction and a place that will stay in your heart forever. This will be a trip for photographers who want to capture once in a lifetime images. My guide is one of the best guides in Burma and has guided many of the top photographers in the world. He is not only knoweledgable about every aspect of Burma but also highly respected and will go out of his way to please each and every one of us. We will be going to many unique locations for photography in all four of the cities that we will be visiting, often looking for monks, local villagers & children for our photos. Our trip will be about one thing and that is to be in the best light at the best time at the best locations. 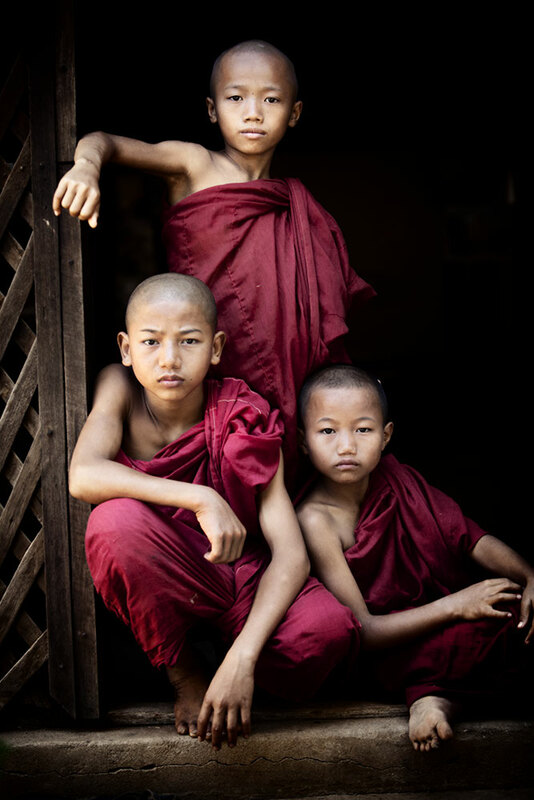 Photo opportunities are everywhere in Burma and we will all see why this country is the jewel of Southeast Asia. January is the perfect time of the year for the best weather and dramatic sunsets & our focus will to be at the right place at the right time as often as possible, day and night. This magical place called Burma is a photographers paradise. Not included: International airfare to and from Yangon, airport taxes, entry visa fees, alcohol, soft drinks and personal shopping. The workshop is limited to 6-8 participants. I will be working with everyone individually and as a group to better their photography skills, throughout the entire trip.